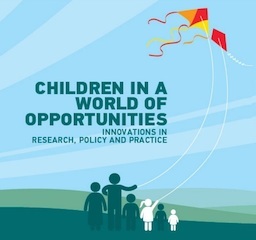 The International Society for Child Indicators (ISCI) will hold its 6th Conference under the theme “Children in a World of Opportunities: Innovations in Research, Policy and Practice” in Montreal, Canada from June 28-30, 2017. This conference will bring together researchers, practitioners, policy makers, and child advocates from around the world to share and discuss innovations in research methods and the latest research findings on child indicators to measure the status of child wellbeing at the local, national, regional, and/or international levels as well as implications for policy and practice. You can find out more information and register here.